The bathroom is one of the most integral parts of any home. With a few updates, you can transform an outdated restroom into a spa-like oasis. 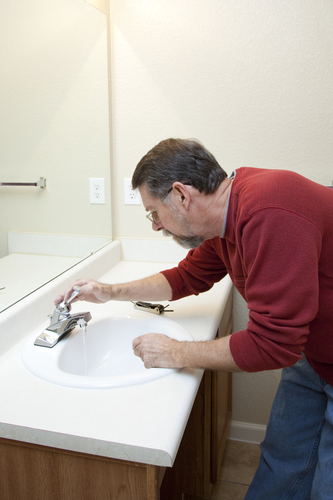 No matter what type of modifications you’re interested in making, several important steps go into almost every bathroom remodeling project. Consider the guide below to make the most of your efforts. Before you even start making plans or picking out finishes, you need to have an idea of how much money you’re able and willing to spend. This will impact every choice you make, as a total remodel with high-end materials will cost much more than a new tub and a coat of paint. With your budget in mind, you can start making a plan for the room. Measure the space and each of the elements in it so you know what you’re working with. As you find new features—like a tub or vanity—measure them to see how they would fit in the room. You’ll also have to consider the finishes, colors, and materials you want to integrate and ensure they complement each other. Material selection often comes down to personal preference, so you can make those decisions on your own. However, the actual remodeling project is more complicated and best left to a professional with sufficient experience. The final step in the planning process is to hire a contractor or home improvement company that’s well-versed in bathroom remodeling projects. Comfort Plus Baths in Saint Peters, MO, is a remodeling company that focuses solely on bathroom projects. This family-owned business is a one-stop shop for restroom renovations, offering a variety of shower, bath, and walk-in tub options. They offer their trusted remodeling services to customers through West and Saint Charles County. Call (636) 928-4300 or contact the company online to learn more.